Yesterday I was in Oxford for the Rigour and Openness in 21st Century Science conference (web-site here, tweets here though they also include newer ones from Day 2 which is happening as I write this). There was a lot to enjoy about the day, including meeting Cameron Neylon of PLOS and Jason Hoyt of PeerJ, both for the first time. The highlight for me, unsurprisingly, was the debate at the Oxford Union in the evening, of which more in following posts. 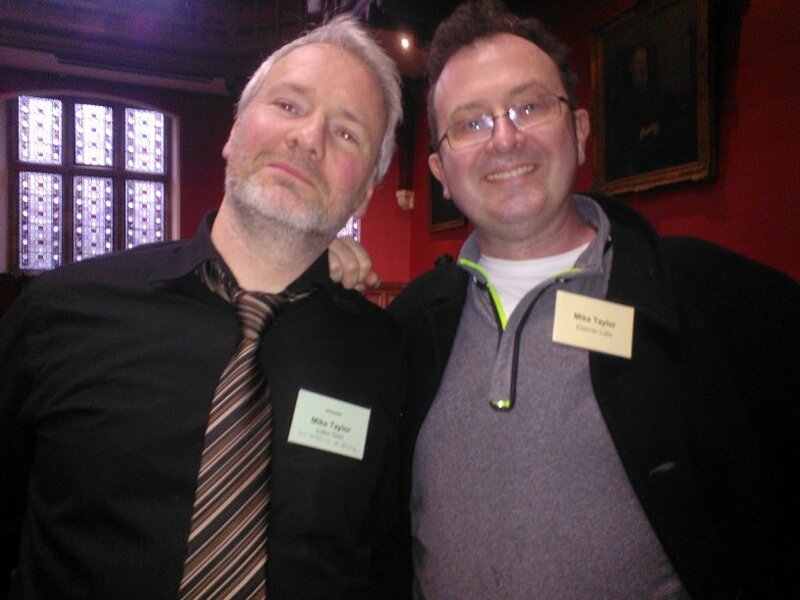 Another highlight was meeting my anti-particle — the pro-Elsevier Mike Taylor. There are quite a few odd coincidences linking him and me, and he has been using us both as a motivating example of the need for ORCID: skip to 5:50 in this video for an example. There was some speculation that if we ever met, we’d both be annihilated in a burst of pure energy, but happily there were no fireworks. Apart from a brief fist-fight. Other Mike Taylor (hereafter OMT) had some interesting things to say about Elsevier, but I won’t pass them on without his permission. Maybe he’ll drop by here and comment. By the way, I think this was the second time I have worn a tie in the last decade or so. I was sorry to have been under the weather for much of the event, but i wouldn’t have missed the debate for anything. We need more of that kind of event. I thought it was interesting to hear David Tempest use the “tug pulling on a supertanker” analogy to making change to academic publishing, it certainly echoes my frustration to some extent. But this lady is for turning, you’ll not be hearing “ding dong” about Elsevier :-) and i reckon things will only get clearer in the future. We should see if we can get on the same platform some time, “green corner Mike Taylor vs gold corner Mike Taylor”, if i can characterise ourselves like that? Hi, OMT, good to hear from you! Yes, I’d be more than happy to share a platform if it could be arranged. 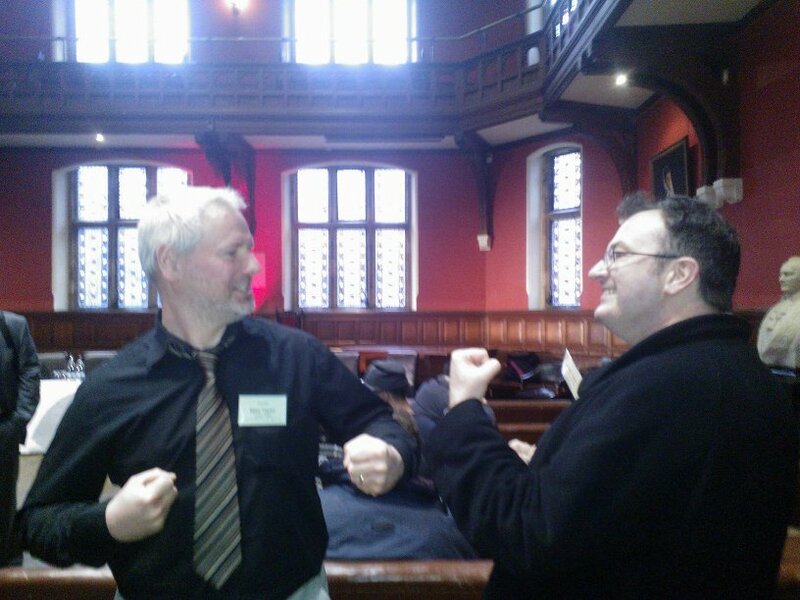 I think together we could be the ultimate tag-team evangelists for ORCID. But as for Green vs. Gold — I thought we were both more inclined to favour Gold?